Headed over into Farndale to see the famous native wild daffodils. I wonder if the huge crowds that trudged the short gravelled path beside the River Dove between Low Mill and Church Houses were as disappointed as me. Very patchy with large areas completely void of flowers. 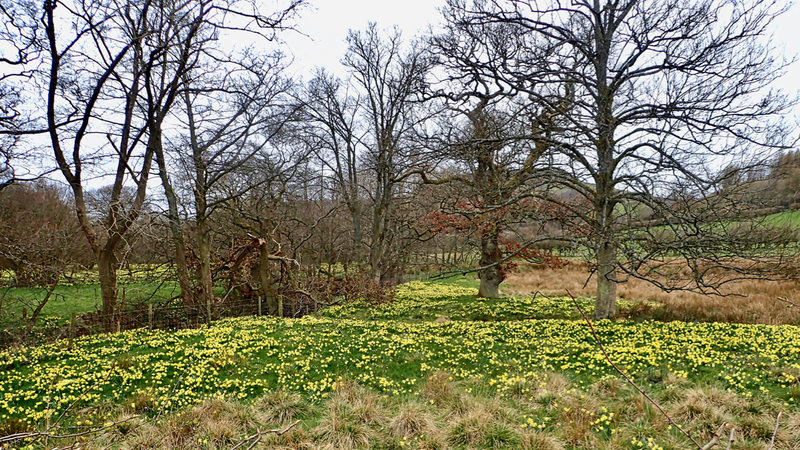 It’s said that the first bulbs were planted here by monks from Rievaulx Abbey planted the first daffodil bulbs here. However away from the tourist trail, north of Thorn Wath Bridge, there was a better display.